Pumpkin ‘Long from Nice’ (Cucurbita moschata 'Longue de Nice'): growing, planting, caring. A French cultivar - from the Riviera - with large green fruits that can be harvested until October. Butternut squash can be grown like any squash or zucchini, and are harvested in October. It can be planted from spring to summer, or transplanted as young seedling purchased commercially at the beginning of summer. Seeding is very simple and can be achieved by even the most inexperienced gardener. Growing them in a container with ripe compost is possible, but in that case the plant will spill out over the sides. 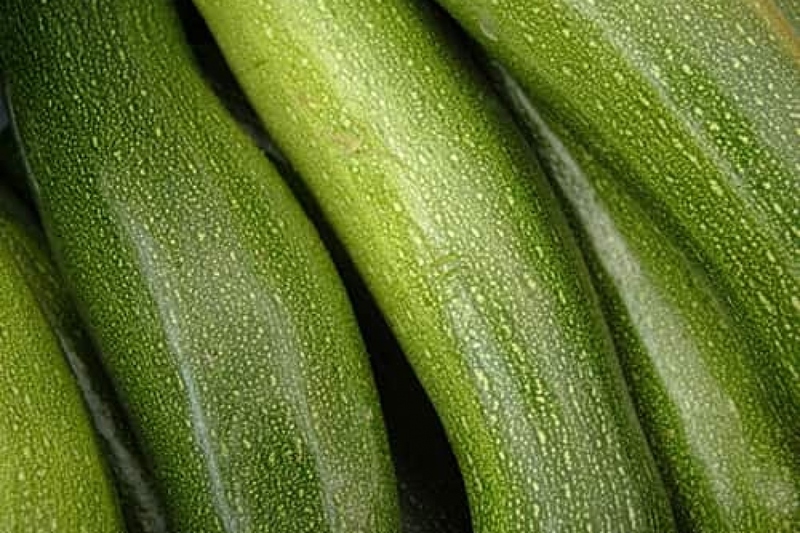 The Cucurbita moschata 'Longue de Nice' has stems running over several meters, on which grow elongated fruits, which are up to 60 cm long. They are green first and then become oranges in October. You can sow in open soil starting at the end of April, once the risk of frost has passed in your region, until the end of summer. Sow in seed holes (3 seeds in the same hole) 2 to 3 centimeters deep, leaving 100 cm of space between each seed hole. A single plant can easily take up 4 full square meters — needless to say, it can invade an entire garden. Water carefully, even spraying the substrate until sprouting. For inside seedlings, you can sow under shelter from March, avoiding the direct sun. You will avoid the stress of chasing slugs! Sow in pans, 3 seeds per pot, on a bed of gravel or clay balls to ease drainage and prevent the roots from rotting. Add special potting soil up to 2/3 of the height of the container and tamp lightly. Then fill to top. Sow at 2-3 centimeters deep. Water gently. You can eventually prune the plants in order to maximize production. When the plant has produced five leaves per stem, pinch them off, leaving only two leaves on each stem. Once each stem has ten leaves, repeat, leaving cinq leaves on each stem. To finish, once the fruits have grown to a diameter of 5cm, pinch off all but two leaves about the fruit. Starting in May, if there is no longer a chance of frost, and 3 weeks have passed after sowing under shelter, plant your squash in loose, cool, and rich soil in the sun (you can add fresh compost to the planting hole). Careful: squash needs to be pollinated in order to bear fruits. It is therefore necessary to have several plants — male and female! - to encourage the crop. Leave a space of about 2 square meters for a each plant. Water generously after planting and the following two weeks. Water the seedlings and new plantings two times a week without wetting the foliage! During the summer, watch out for signs of dryness, particularly leaves leaning towards the ground. Water generously, 2 or 3 times a week, and once less if you mulch, more if drought occurs. Water the base twice daily without wetting the foliage to prevent powdery mildew. Weed regularly during the entire growth period, removing and renewing the mulch from time to time. The harvest takes place in autumn, when the fruit takes on an orange hue, the skin hardens and the stalk becomes very dry. The fruits hate moisture from the ground — place a layer of dry straw mulch underneath them. Watch for slugs which can devour the young plant in just one night. These pests can easily be diverted from your precious vegetables by an offering of beer or flour placed away from your crops (get the cheapest, they aren't very difficult to satisfy). Once the last fruit is harvested, don't forget to pull out the plants to make room for autumn planting! Correctly remove the roots and avoid composting the remains if the foliage shows signs of disease. Starting in the beginning of May, once there's no more risk of freezing and 3 weeks after sowing if you sown under shelter, transplant in open soil - rich and deep and sunny. Make sure each plant has enough room - 1 m2 for each, water thoroughly after transplanting and for the following 2 weeks.